Four designers from London’s Royal College of Art have recycled the toxic red mud residue from aluminium production to make a series of terracotta-hued cups, bowls and teapots. According to an article on Dezeen.com the project aims to find the value in “waste” by recycling the industrial by-product into a sustainable alternative to raw materials. Guillermo Whittembury, Joris Olde-Rikkert, Kevin Rouff and Luis Paco Bockelmann began studying the potential of secondary resources, in a bid to realign our perception of waste. 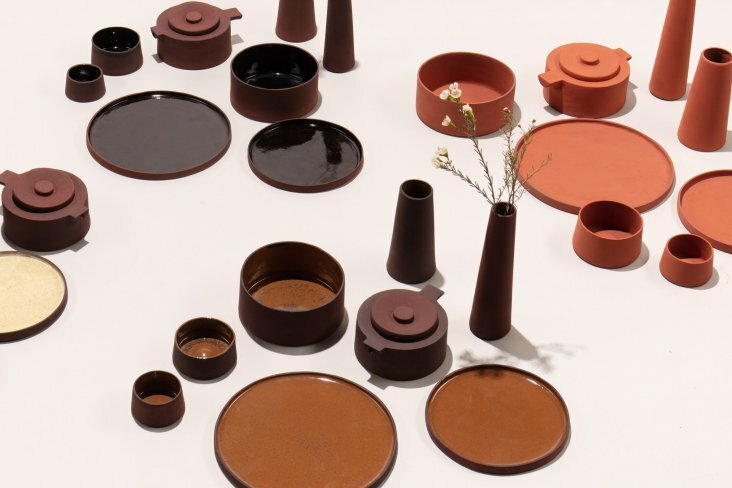 The project, called From Wasteland to Living Room, saw the designers transform red mud into different functional ceramic tableware pieces such as cups, bowls, plates, vessels and teapots. Red mud, also known as bauxite tailings, is a by-product of refining bauxite ore into alumina to make aluminium. The material mainly consists of iron oxide, which grants it a vibrant, rusty colour. For every tonne of alumina produced, the process can leave behind as much as two tonnes of red mud, which is highly alkaline and hard to neutralise. RCA designers transform toxic industrial waste into ceramic tableware.